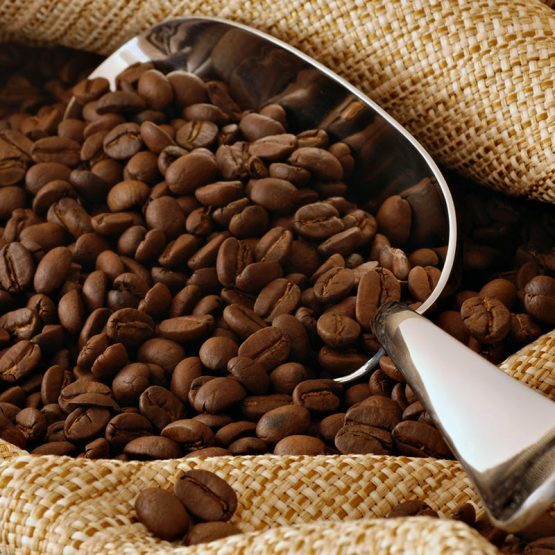 Arabica coffee is more popular than Robusta coffee because it is supposed to taste better. In some ways, Robusta's bad reputation is justified because low quality brands use Robusta exclusively, but there are a few situations where Robusta holds its own, or helps out a bit, for instance, if you have one of those nice, fruity Arabica beans that is just that little bit too mellow, you can create more depth to the flavour by adding 25% of Robusta. Roasted beans should be stored in an airtight container in a dark, cool place, for instance in a refrigerator. However, it is important that the container is truly airtight because coffee absorbs moisture, including odours and tastes, from its surroundings. After roasting, the coffee beans start losing their flavour, and it is recommended that coffee beans are used within one month of roasting. Home grinding should be done immediately before making the brew as ground coffee loses its flavour very quickly.